Whew, finally rested after being up half of Tuesday night with the thunderstorm. On a scale of 1-10 of thunderstorms this was no more than a “1” if that – few flashes of light, maybe a little rumble now and then. I could easily have slept through the entire thing except for the 95 lbs. of panting, slobbering dog draped across my chest! 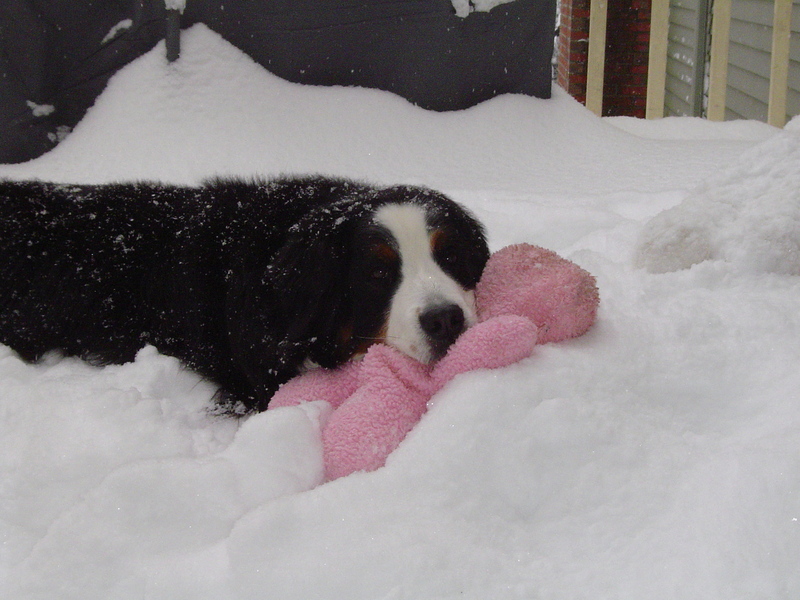 Do you know how much drool a Bernese Mountain Dog can produce when she’s in a panic? And I think we’re going to be taking away the smoked pig ears for treats… maybe add a few breath mints in the bowl at night. So yesterday was a day of rest but I’ve got a really good fish recipe for you today. The market had fresh haddock but sole or any white fish I think would be good too. You might also notice a trend of mozzarella cheese in my recipes, what can I say I love mozzarella! 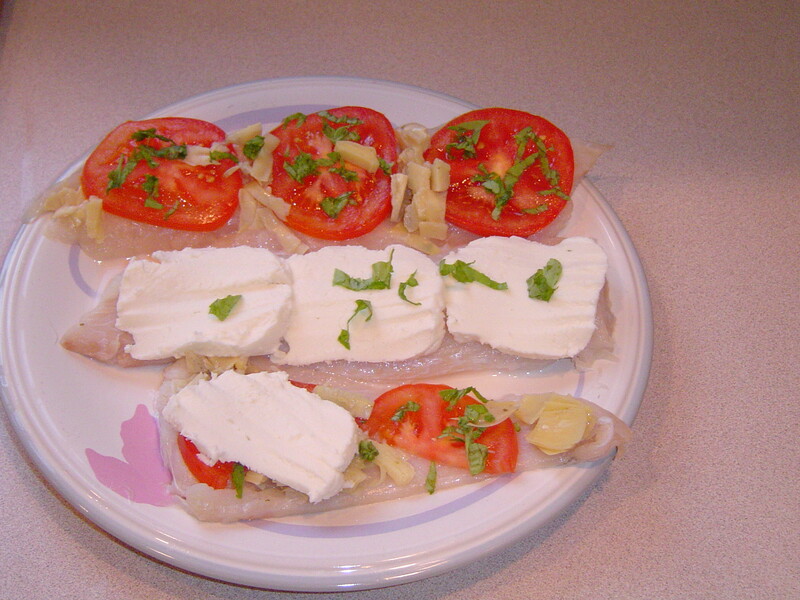 Serve delicious Haddock w/mozzarella, tomatoes, artichokes & give your husband a piece of haddock with melted mozzarella!